The quadruped position is a very important developmental posture. From this posture we learn to crawl and transition to half-kneeling (which then transitions into standing). Through this posture we develop core, shoulder, and hip stability, learn reciprocal UE/LE motion, and begin to control our spine through our weight-bearing extremities. The quadruped position has many details that are often lost or forgotten when training. Mastering these subtleties and progressing within the edge of your ability will lead to a great effect on your stability. Using this posture for assessment can determine whether a patient has a weight-bearing stability issue, an open chain compensation, a spinal stability dysfunction, or a combination of these dysfunctions. Furthermore, it can help determine the specific position of instability (i.e. hip flexion vs hip extension, shoulder end-range flexion vs mid-range flexion). Determining the specifics of their motor pattern dysfunction can help you further individualize your plan of care. For more advanced and active patients you can take them through a 6 level progression (see video below) to determine their level of stability and determine whether it is a static or dynamic dysfunction. Make sure to pay attention to any asymmetries, compensations, or faults. A proper assessment leads to a more effective intervention. By taking the patient through the 6 level quadruped progression you can determine the limits of their ability. 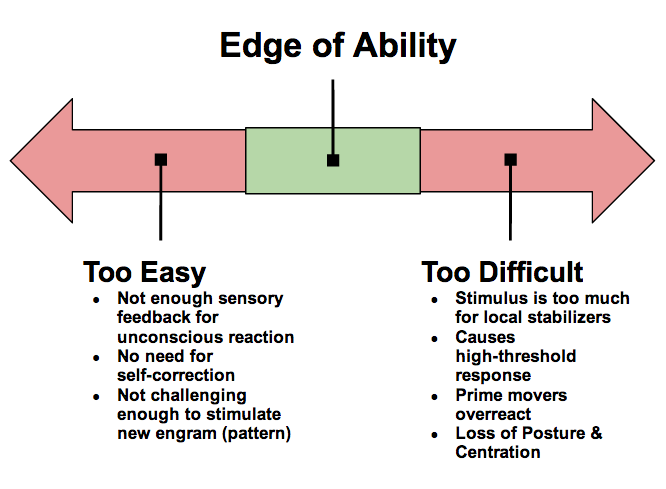 Once you determine this you can train them within their edge of ability to improve their stability. It’s important to avoid compensations or making the exercise too difficult. This should be a low-threshold training exercise. Think about training the pattern instead of the muscles. After mastering the 6 levels of quadruped stability you can further add other extremity movements, resistance, or perturbations to make the exercise more difficult. Many clinicians and trainers even use creeping, crawling, and even the bear crawl for exercise progressions. 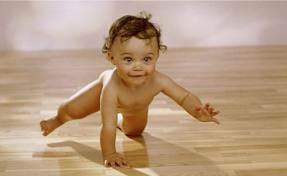 The developmental perspective shows us that movement was developed in patterns, not by isolated muscle strengthening. 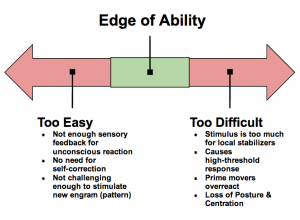 Using developmental postures can help to re-wire dysfunctional movement patterns. Before progressing to more complicated postures (half-kneeling, single leg stance), make sure your patient is efficient in this quadruped position.